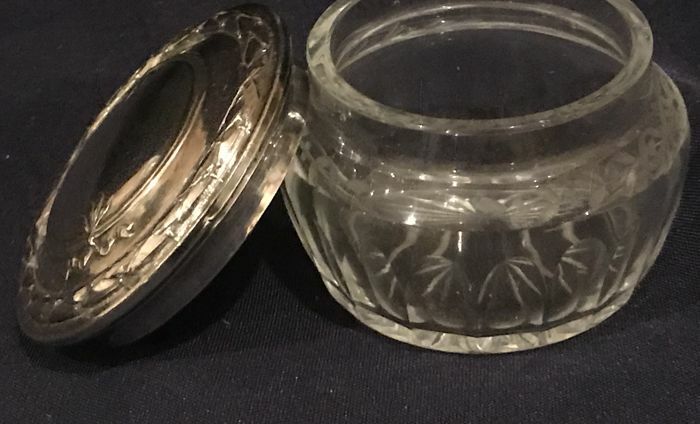 Beautiful crystal dressing table pot with elongated oval facets and acid etched decoration. 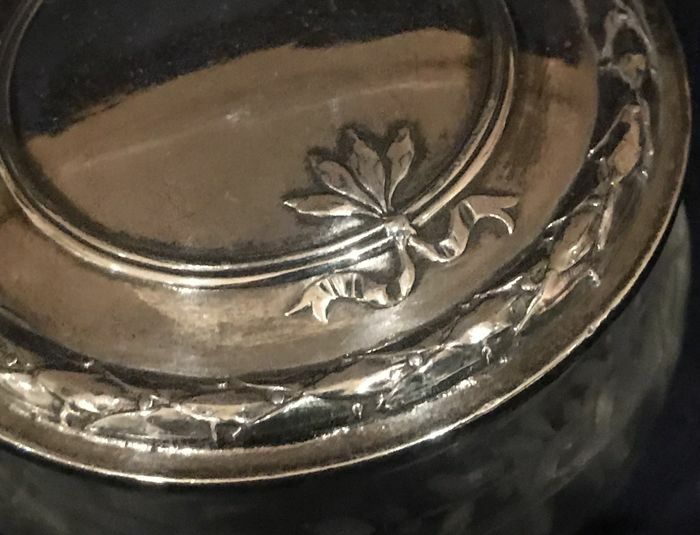 The pot has a gorgeous silverplated lid of which sits on top of the pot (this is not screw on). 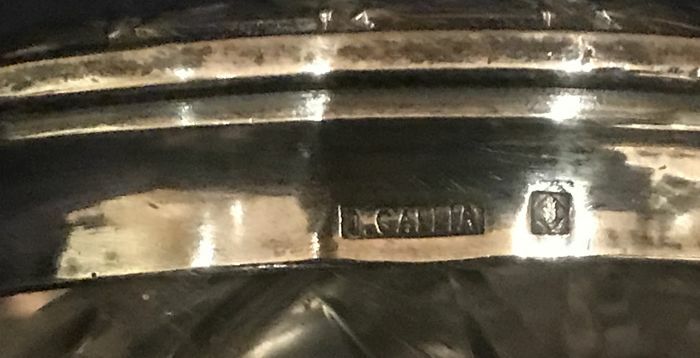 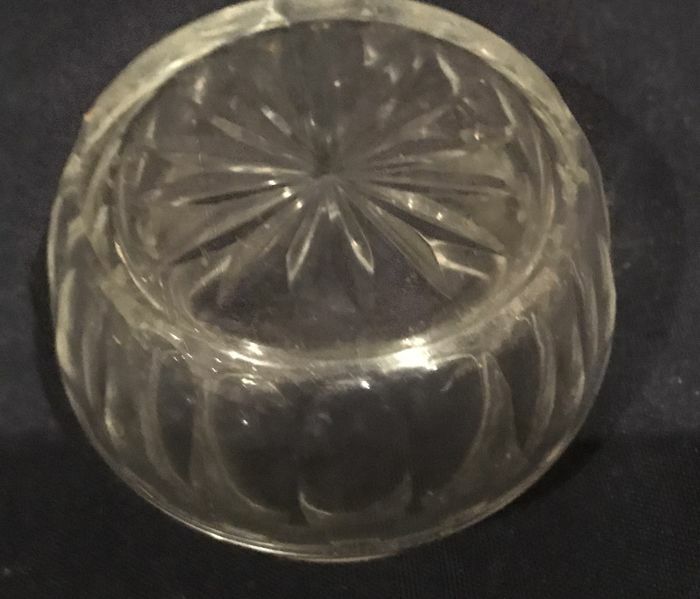 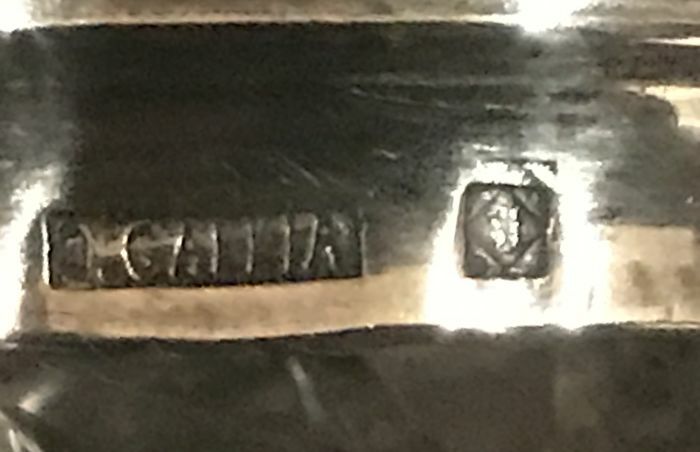 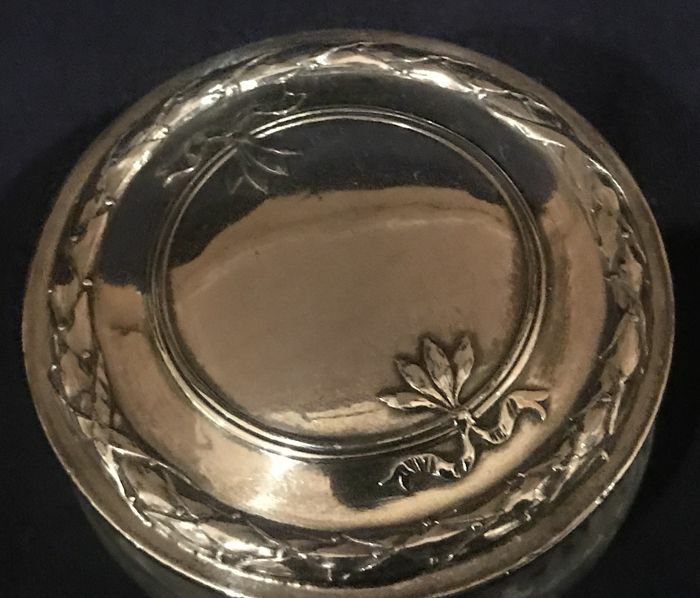 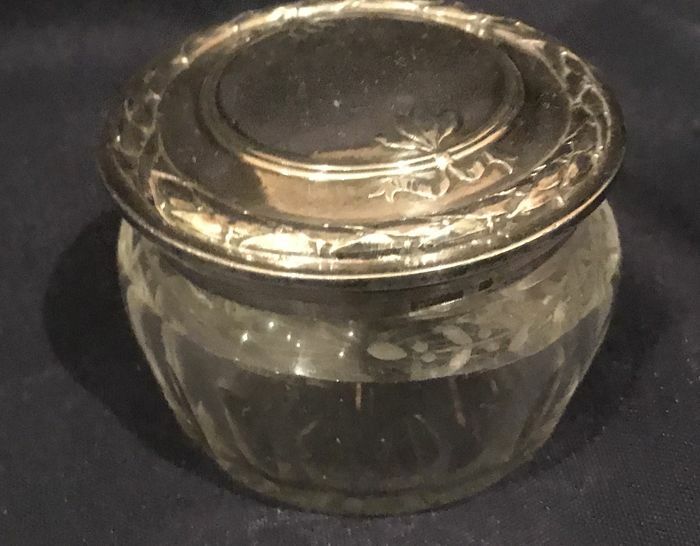 The lid is stamped O Gallia with cartouche to the right.